Dark and dirty looking grout is the result of naturally occurring debris and moisture. As most tile and grout are found in areas exposed to large amounts of moisture, the darkening of grout is actually a result of a mold and mildew mixture. 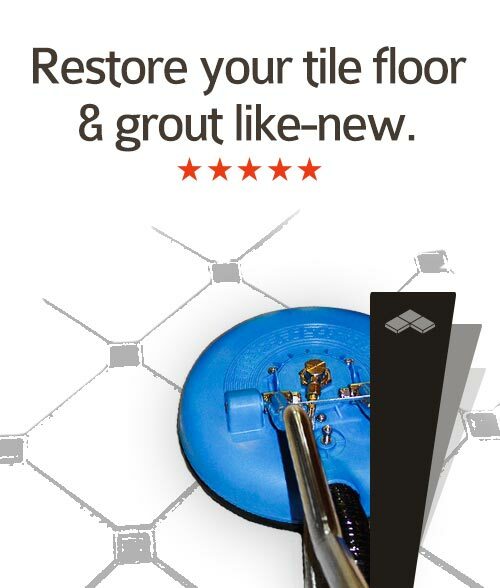 Since grout is porous in nature, dirt, mold, and mildew get trapped inside the pores of grout and are therefore immune to standard mopping methods. Tile is flat surfaced and is more accessible for cleaning, however one must consider a tile's cleaning solution and its potential reactions to grout. Take a moment to think about how many tiles you have in your home. Now look at the grout lines. Now look at how dirty they are. Honestly, do you really want to spend hours and hours cleaning? And by cleaning, we mean getting on your hands and knees and scrubbing elbow grease style. There is no reason to scrub away your entire weekend when DC Carpet Cleaning has a cleaning service immediately available to do it for you. Fortunately for us, we don't have to scrub because we have industrialized tools to do the work for us. Instead of just mopping, and therefore transferring dirt and soil from one place to another, our tile and grout cleaner does the work for us while our cleaning technician directs it. For more information about our Eco-Friendly cleaning products or for a free price estimate, please feel free to contact our customer service representatives today!